Van Uffelen Gallery provides high quality framing solutions, nationwide, worldwide, online or in-store. to help you create a framing solution that best reflects your style, your decor, and your art. To consistently offer quality framing solutions. We do this with an emphasis on providing you with an outstanding experience while working within a budget that is most comfortable for you. Van Uffelen Framing stocks the widest range of Picture Frames, Consumables, Framing Supplies, Hardware, Art Hanging Sysyems, and Unique, Preset Frame Designs in New Zealand with all products being available online or instore. Thank you so much for this amazingly fast action! Thanks so much, just to let you know received yesterday afternoon, perfect as expected. The boards are here thanks for the fast service. Haven’t opened it yet but I’m sure it’s fine. The cost effective way to frame your arts and photos. Whether your exhibiting or displaying. At Van Uffelen Picture Framing we can create a framing solution that best reflects your style, decor, and art. Our team of framers are experienced and use the latest techniques, materials and technology to make sure your framed item will be enjoyed for many years to come. Emphasis is on providing you with an outstanding experience online or instore, while working within a budget that works for you. There is no job too large, or too small. Our staff hold the most prestigious and internationally recognized range of qualifications related to framing and the care and preservation of artwork. 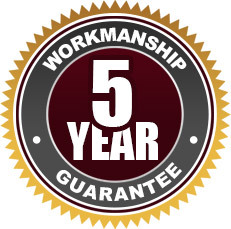 All workmanship carries a 5 year minimum guarantee.